There are many ways to choose color for your rooms. If you want to experiment, using a color wheel is a fun option. Gather as many paint chips as you can from your local paint store then using the color wheel to find complimentary and harmonious colors you can create a custom color palette for your room. When reading about creating color schemes different types are mentioned such as complimentary, analogous and monochromatic. If your employing one of these color schemes, it’s good to remember that you can use tints (adding white), tones (adding gray) and shades (adding black) for one or all of the colors. Your scheme with still be harmonious, but depending on the mood you want to create, it may be more subdued or more vibrant. 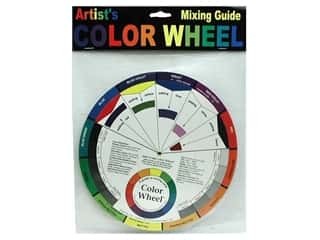 The best color wheels are those that give you not only the full color hues but tints, tones and shades of those colors. This color wheel rotates and gives you the shades, tints and tones. On one side, the tints of a shade are visible and on the other side the shades and tones are visible. You move the wheel to a selected color and the graphic in the middle of the wheel points to the colors that make up the different types of schemes. It’s a great tool if you want to match a color that you already have in your home. 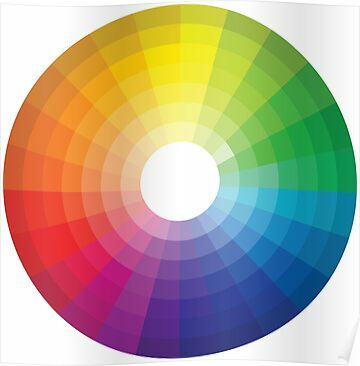 Find a paint chip that matches the color that you want to use in your style then find it on the color wheel. 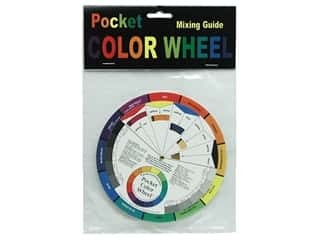 Spin the color to the pointer at the top of the wheel to find complimentary, analogous and various other color types.